The specialised Great Britain auction held at Grosvenor on April 18th achieved a total £761,421, a very solid result when compared with the pre-sale estimate and one that reflects a consolidated strengthening of a market traditionally over-influenced by the buying patterns of dealers and recently weakened by an oversupply of quality material. Realisations were generally strong, and it was unsurprising that the top prices paid were for two impressive Surface Printed multiples, £33,712 being reached by the striking half sheet of 120 of the 1855-57 watermark medium garter 4d. 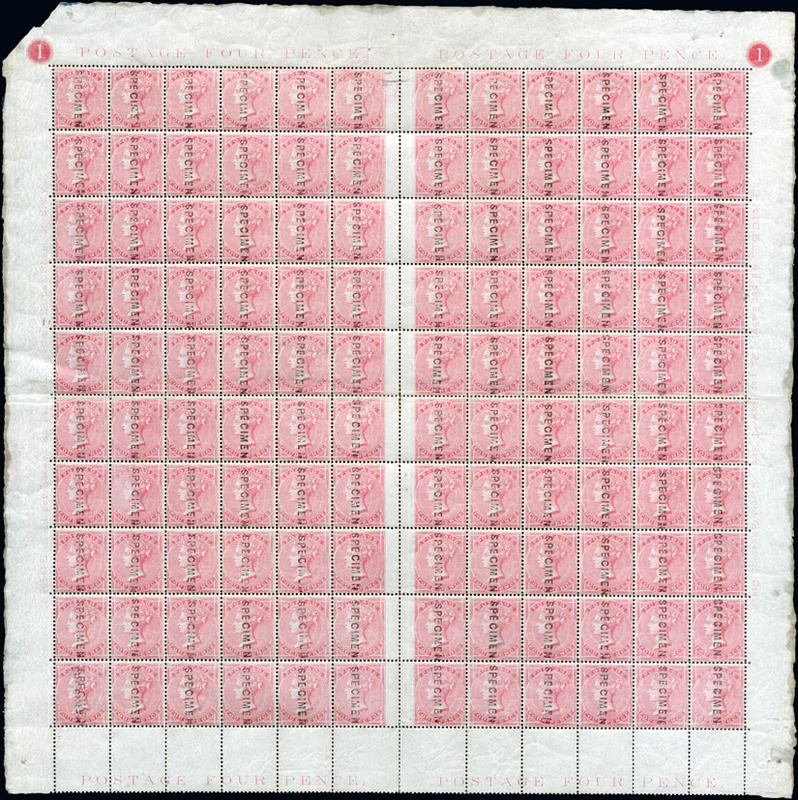 with each overprinted “SPECIMEN” (lot 358) and £31,304 by the appealing pane of twenty of the 1873-80 watermark spray 1s. orange-brown, plate 13 (lot 394). The attractive vertical mint pair of the 1935 Silver Jubilee 21/2d Prussian blue, featured on the front cover of the catalogue (lot 615, above) achieved an expectedly strong price of £18,060. This auction was notable for the presentation of the exceptional collections of Machin and Wilding issues formed by John Sussex RDP, FRPSL, and these were well received, producing some fine results. Imperforate Machin varieties were popular with an upper marginal pair of the 2p. selling for £1,989, the unique cylinder block of the 23p. 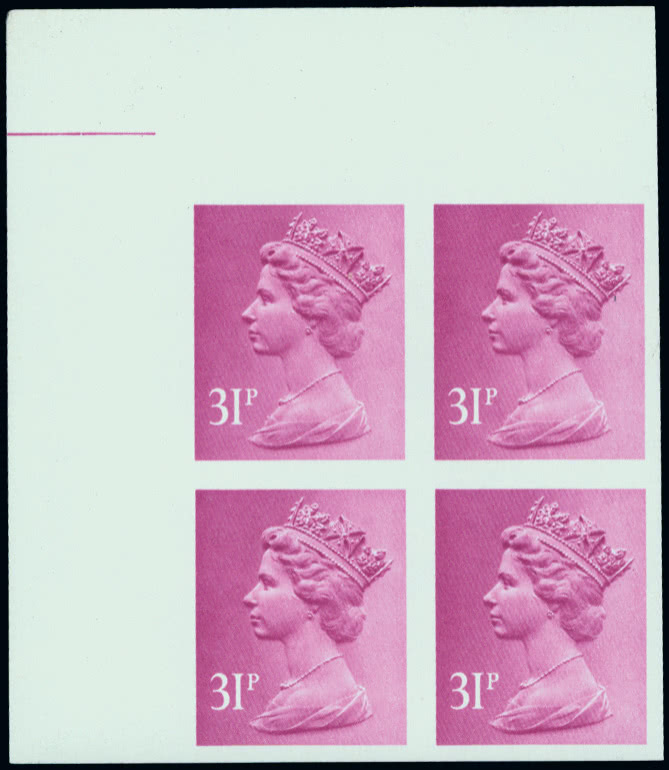 (lot 895, left) rising to £4,446 whist a corner block of four of the 31p. 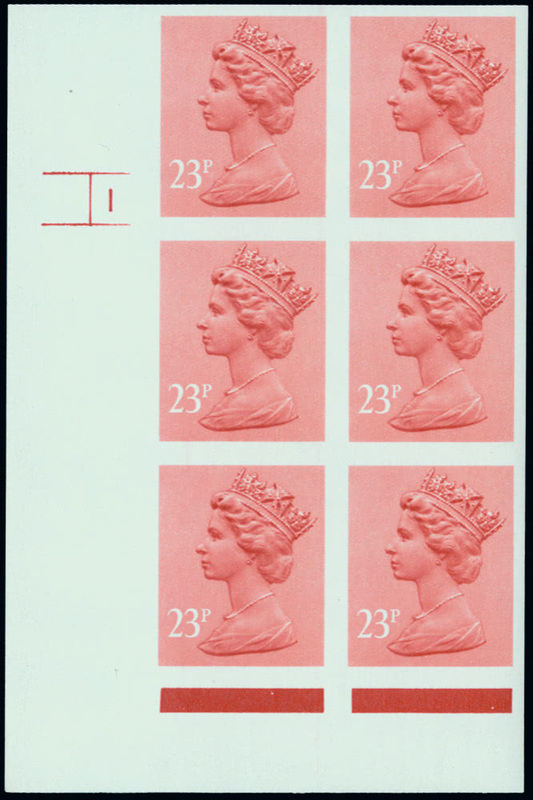 (lot 898) achieved £2,597. 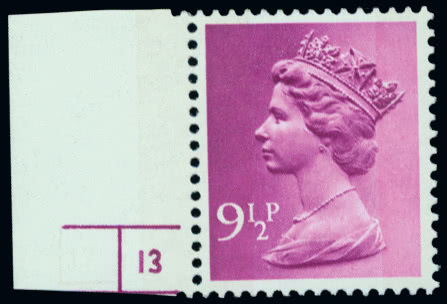 An attractive cylinder 13 no dot single example of the 91/2p. 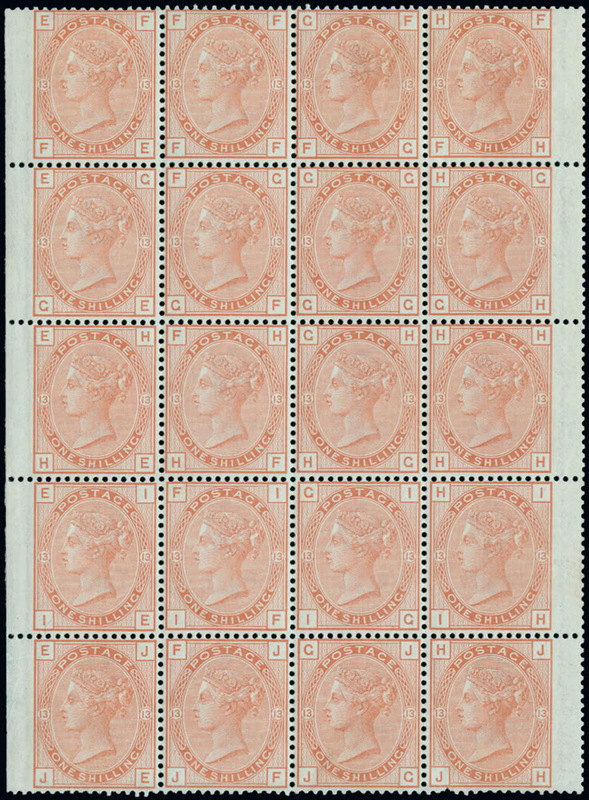 bright purple-magenta colour error (lot 862) sold for £1,966.